L I V I A: AVEENO PRODUCT REVIEW: FEAT. SKIN RELIEF BODY WASH & POSITIVELY RADIANT, INTENSE NIGHT CREAM REVIEW ! 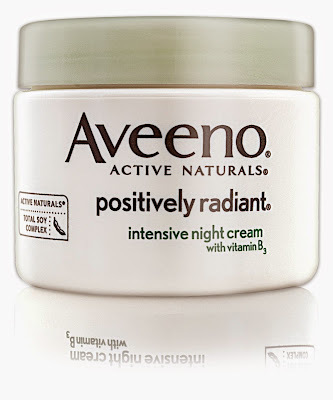 AVEENO PRODUCT REVIEW: FEAT. SKIN RELIEF BODY WASH & POSITIVELY RADIANT, INTENSE NIGHT CREAM REVIEW ! Hey Beauties and all ! Hope you're well and all ready to get pampered this weekend! It's the perfect time to get down with your skincare products and really treat your skin to some loving and tender care. 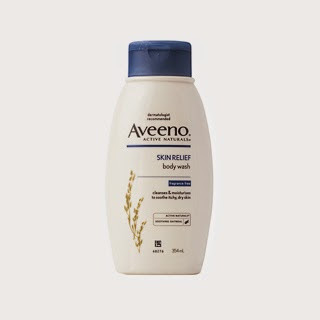 If you're in the market for a good type of body wash that's fragrance free and works to soothe, cleanse and moisturise itchy skin, then keep on reading.. Aveeno has brought out their line of body washes which are specially catered for those who suffer dry and irritated skin. We can get dry skin due to the weather change and it's not a nice feeling - when your skin is always dry and flaky. You'd want to really use a good quality of body wash that won't be too harsh for your skin. Thankfully, I tried out Aveeno's Skin relief - Body wash. It's a cream based body wash which is very thick in consistency where it helps to really moisturise your dry skin as you shower. It works to gently soothe the itchiness and dryness. It's such a relief to have used this cream body wash as my skin felt so much better and comfortable. What makes the formula in the body wash so unique is that it contains ACTIVE NATURALS of Colloidal oatmeal...known for is skin soothing benefits. (This is definitely a plus factor for me!) If you were thinking what benefits do I get from using Colloidal Oatmeal? It basically coats the skin with a protective layer that soothes and moisturises the skin. It also has rich emollients where it can help your skin feel super moisturised even when you're still washing your skin.. which would eventually leave your skin feeling smooth and hydrated all day long. I am so glad that the product does not contain harsh chemicals but instead contains NO soap, NO dyes, NO fragrance and is hypoallergenic - making it suitable for those with sensitive skin. My skin usually gets dry and from time to time, I do suffer from the irritation and dryness. It's not a good feeling because if you soaps that contain harsh ingredients, this can make the area even more worse. The body wash balances the skin's pH by keeping it smooth and soft but also eliminating impurities and any oils. I personally have sensitive skin and it is constantly itching. After using the body wash, I felt much relief to my skin. I didn't even have to apply moisturiser over after using the wash. Overall, this product is definitely a 5/5 stars for me. Balances your skin's pH level. Contains colloidal oatmeal to soothe and moisturise the skin. Massage and lather onto skin during shower. This is a good type of night cream if you're looking to combat dull and tired looking skin. Just apply this cream overnight to help promote more radiant looking skin. The formula contains a soy complex and vitamin B3. It is made to tone skin and balance out any dullness and texture from the skin. It's also proven to show an improvement to skin in just two wees by toning the skin. 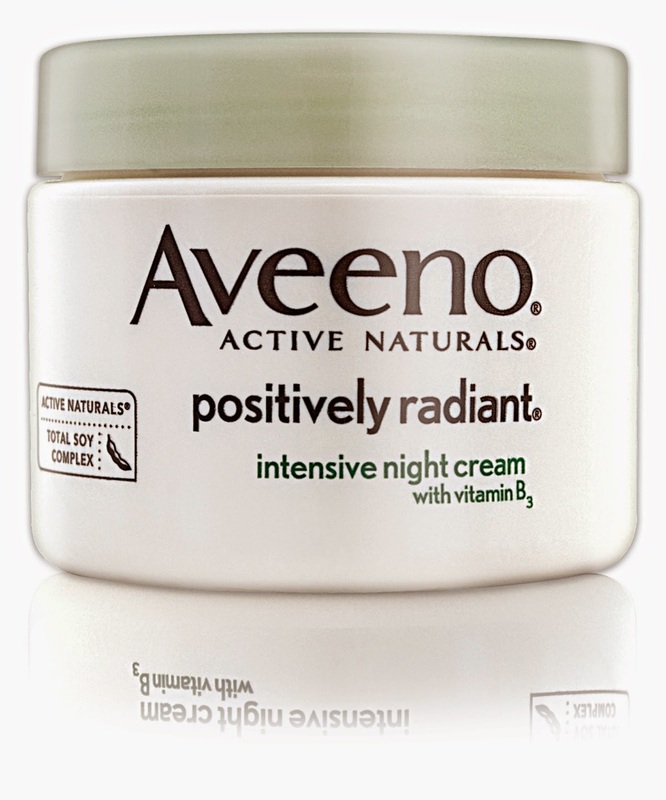 I am quite fond of night creams and I was curious to see what the Aveeno brand could really do for my skin. I found the packaging to be simple looking and I like the look of the pot of the cream. It comes in 48g and you just simply twist to open the product. The cream does not have a strong smell which I quite enjoyed using. There's a nice hint of soy scent to the cream which gives off a natural lingering pleasant smell. I found the cream to spread very evenly and it absorbed really well onto your skin. The cream was not greasy nor sticky and so it went really well on my skin. I experienced no breakouts on my skin and my face felt very refreshed after using this night cream. The next morning, I could feel my skin feeling softer and more toned. When applying the cream on at night, you don't require much as a little goes a long way. I personally felt that this product worked really well. Overall, it's a pretty decent type of night cream and am giving this a 4.5/5 stars! Promotes more radiant looking skin. Formula contains a soy complex. Only need a small amount. Just apply a small amount for the product to easily absorb. I hope you enjoyed reading all about Aveeno! Happy reading y'all!